I am finally letting to of my Ego package. I am pretty happy with pump stuff, and I'm getting into airsoft (another discussion thread on this one is in General information). I'm pretty firm on 500 dollars or better, and I think the value is well worth it. Lemme know what you think or if you know anyone who would be willing to buy it you need to do it fast or its going to RJ Performance who knows the value is definately good. 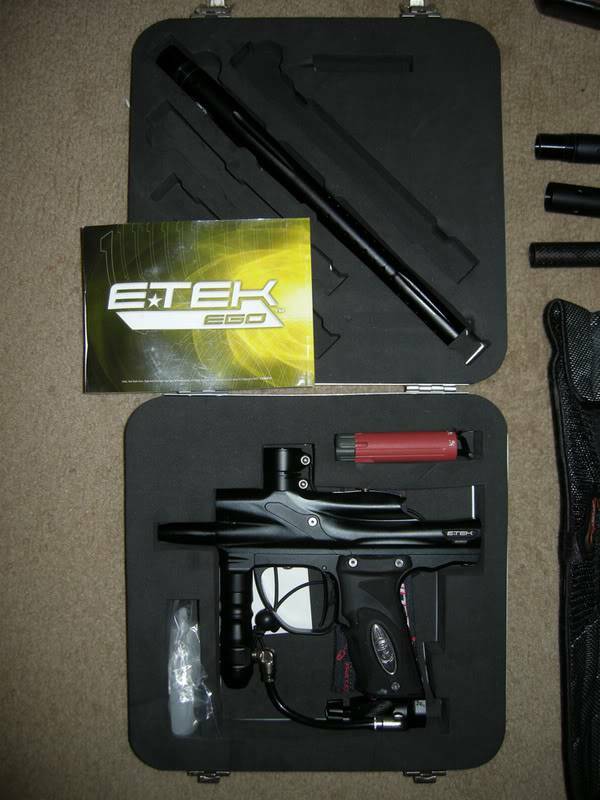 1) E-Tek Ego Paintball marker in case with stock barrel, manual, and tools. THIS MARKER IS IN PERFECT CONDITION...NOT A SCRATCH ON IT. 3) Sly Barrel Kit. 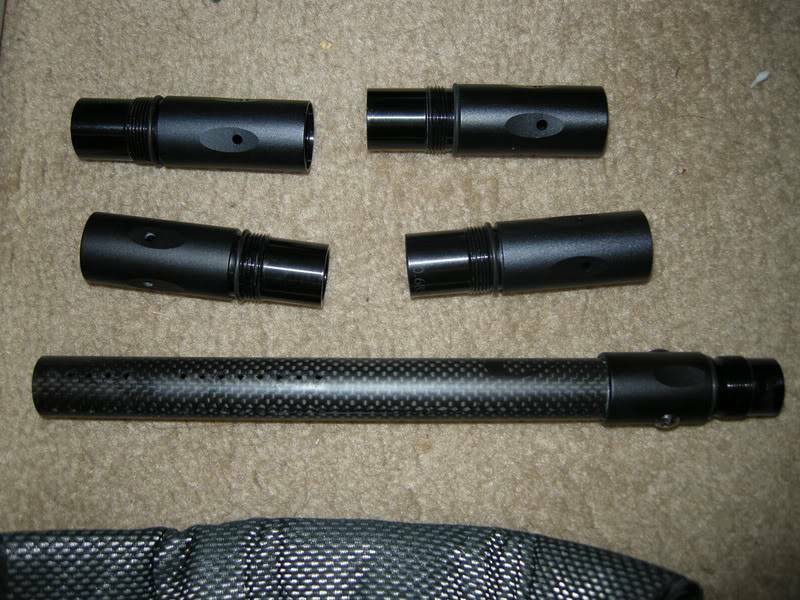 Carbon fiber barrel kit with 4 interchangeable backs and padded folder. 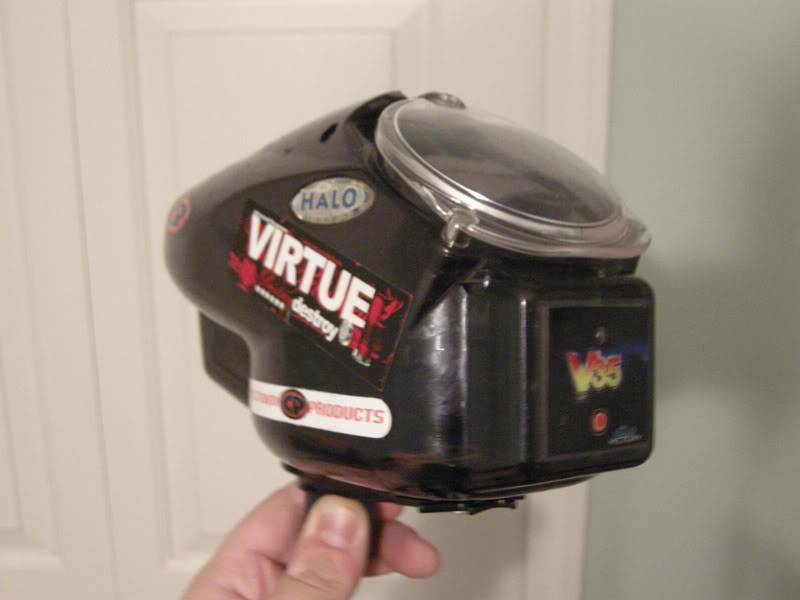 4) Halo B Hopper with magnetic lid. Smoke shell with V35 Victory Board and Rip Drive. 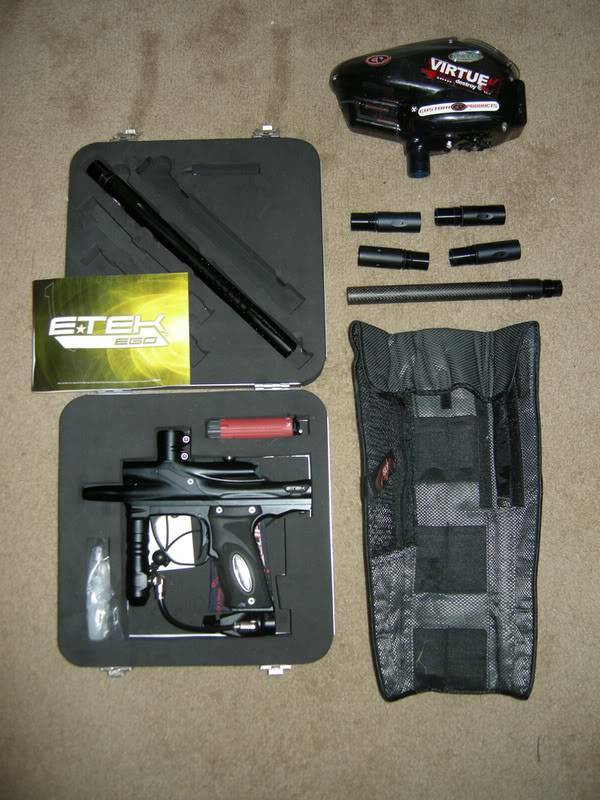 Original box and manual included. This marker has been owned for a year, and (I kid you not) has never had a SINGLE ball break in it. It will air up, and fly from your first trigger pull.